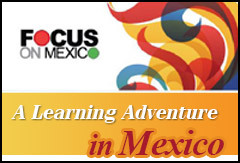 Being part of Focus on Mexico has its Member Advantages. 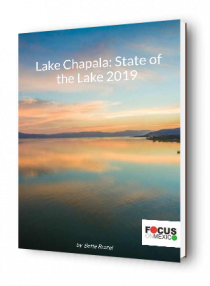 We are delighted to tell you that we have arranged with numerous local businesses in the Lake Chapala area (and Guadalajara) to offer Benefits and or Discounts to Focus Alumni Members and our Best Doctors and WEA Group Members. Check out the Focus Discount List page where we provide the full list and contact info of the businesses approved on your Discount Card. You may need to show your Focus Discount Card to prove your Focus affiliation to the business providing the Benefit or Discount. To order your card, please fill out the form below, putting your name(s) as you wish it to appear on your Focus Discount Card. If the form auto-fills with your information already on file, please check to make sure your email address is still current. If not, please correct the info before submitting. How do I get my Focus Discount Card? For Focus on Mexico Alumni Members living in the area, we will email you when the card is ready and the central location for pick-up. (If you are not already on the list for the Focus Luncheon invites, please contact lisa.ajijic@gmail.com for date and time of next luncheon or to arrange for pick up elsewhere.) If you are out of town, we will hold your card until you are at Lakeside. For Members of our Best Doctors Group or WEA Plan, we will pass your cards to the Blue Angel Insurance office and when you go to pick up your Best Doctors or WEA Policy, your card will be there for you to pick up. 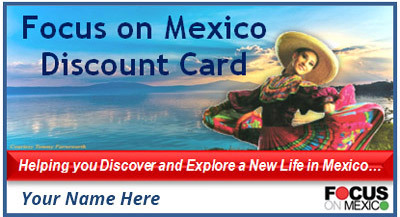 Make sure you let us know what Health Plan you are applying for and that you are applying for a Discount Card by emailing info@focusonmexico.com Contact ray@focusonmexico.com if you require other arrangements. We apologize that it isn't possible for us to arrange for discounts from businesses in other places in Mexico (although we may eventually have a few national discounts). However there will still be a number of Focus Member Advantages that you will have access to and most of this will be beneficial no matter where in Mexico you live.